Tennessee Trout Fishing? Yes, that's right. Tennessee has excellent trout fishing and Knoxville is right in the heart of Tennessee Fly Fishing country. The Great Smoky Mountains National Park lies about 45 minutes south of Knoxville and is the home of over 800 miles of freestone trout streams. The Tennessee Valley Authoirity (TVA) also has numerous high mountain dams that surround Knoxville. These dams creat rich, healthy Tennessee tailwaters that harbor excellent trout fisheries. Tennessee is quickly gaining respect in the fly fishing community and it's tailwaters are leading the way. 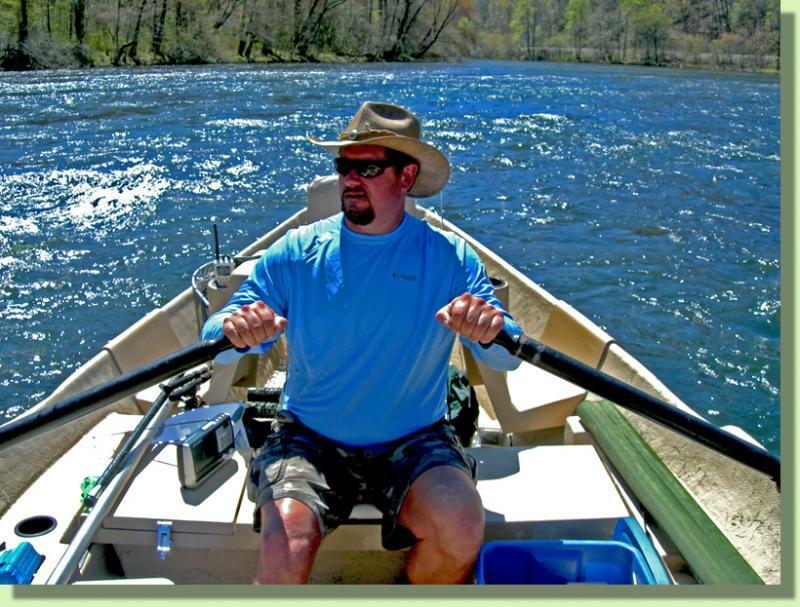 Our Knoxville based Fly Fishing Guide Service is happy to offer guided fly fishing trips to these great rivers; The Clinch River, The Holston River, The Hiwassee River, The Cumberland River, and The Caney Fork River. Our Tennessee Fly Fishing Guides and Kentucky Fly Fishing Guides are professional anglers and instructors. We pride ourselves on knowing our rivers better than anyone else. We've spent many years fishing our featured rivers and we've been guiding professionally on them since the 1990's. Take a few minutes to look over our website.....If your interested in a guided Tennessee Fly Fishing trip please ﻿contact here﻿.